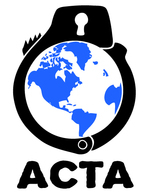 Paris, July 20th, 2011 – The EU Parliament just published a study assessing ACTA in view of its upcoming ratification vote. Most of the report includes the typical copyright extremism nonsense, especially when it comes to the digital environment. However, this scholarly study cannot but recognize that ACTA contains serious legal flaws and brings nothing to EU citizens. Despite trying hard to help the Commission, it is forced to conclude by suggesting that the EU Parliament should reject ACTA. After the strong criticisms expressed by EU academics, this study1http://www.laquadrature.net/files/INTA%20-%20ACTA%20assessment.pdf commissioned by the Directorate-General for External Policies of the European Parliament also recognizes ACTA’s important flaws, while underlining that it is “difficult to point to any significant advantages that ACTA provides for EU citizens beyond the existing international framework.” According to the study, “unconditional consent would be an inappropriate response from the European Parliament given the issues that have been identified with ACTA as it stands”. The study reaches that conclusion without even offering a comprehensive and objective assessment of ACTA’s digital chapter. It could have gone much further than merely stating that the worst provisions of previous leaked drafts do not appear in the final text. Indeed, a detailed comparison with the requests of RIAA in 2008 shows that the copyright lobby’s demands have deeply influenced the final text. As a result of the copyright lobbies’ noxious influence, ACTA still includes a set of measures for stepping up the war on the sharing of culture over the Internet2See our analysis: http://www.laquadrature.net/en/acta-updated-analysis-of-the-final-version. By pushing for “cooperation” with rights holders and threatening Internet companies with criminal measures, ACTA would force them to police their networks and services, monitoring their users’ communications, systematically circumventing judicial processes3Such outsourcing is planned by many other legal texts or contractual agreements.. This is why the United Nations Rapporteur for freedom of expression recently expressed his concern with the impact of ACTA on rights and freedoms online4http://www.laquadrature.net/en/un-report-on-freedom-of-expression-bashes-g8-acta-hadopi. “The study falls short of questioning the legitimacy of the “war on sharing” and of the dangerous provisions negotiated by the Commission that amount to creating a private copyright police of the Net. Even though the study is rather complacent with the entertainment industries’ extremism, it cannot but suggest that ACTA is harmful for democracy and should be rejected. It proposes so many issues that should be fixed in ACTA before it could be ratified that it is a ‘politically correct’ way of stating that the whole agreement is totally unacceptable.” said Jérémie Zimmermann, spokesperson of La Quadrature du Net. “ACTA started as an exercise of circumvention of democracy. It resulted in a text that the study recognizes as either useless or harmful. The Members of European Parliament must send a clear message that ACTA will not be imposed on them, and reject it right away.” concluded Philippe Aigrain, co-founder and strategic advisor of La Quadrature. 3. ↑ Such outsourcing is planned by many other legal texts or contractual agreements.